A revolutionary new lip product! Rouge Pur Couture Vernis à Lèvres Glossy Stain combines the texture and shine of a gloss with the long-wear of a stain for a truly innovative lip product. A lightweight texture that immediately melts onto lips. Rouge Pur Couture Vernis à Lèvres Glossy Stain delivers intense glossy color for an extremely long lasting new kind of shine. The applicator’s unique slanted tip and short soft bristles allow for flawless application with perfect precision. 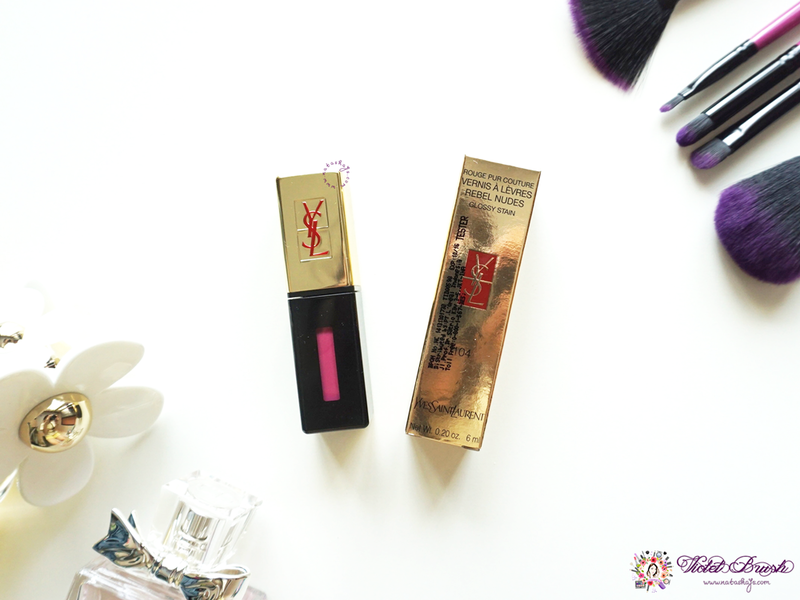 Almost every YSL products I've seen have a simple yet elegant packaging and YSL Rouge Pur Couture Vernis à Lèvres Glossy Stain is no exception. Covered in black and gold colors, this not-so-tiny square bottle is sturdy and travel-friendly. 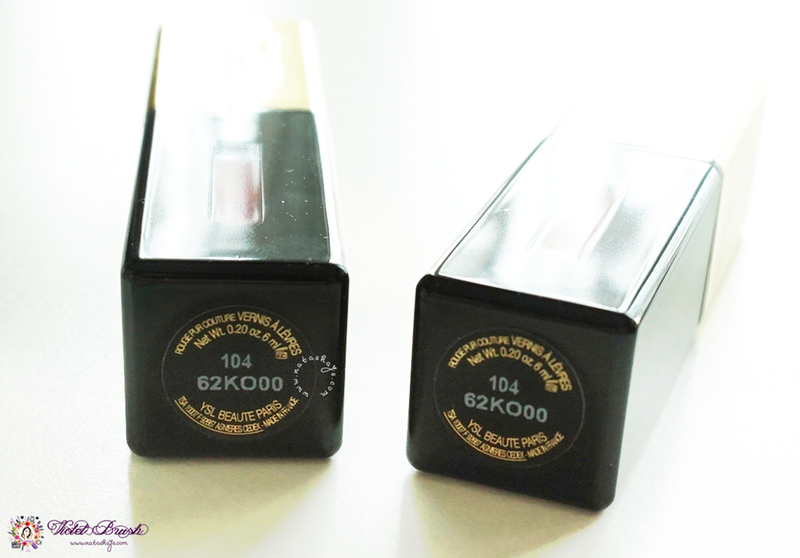 There are also transparent parts where you can see the Glossy Stain's shade without opening the cap. I personally love the brush of YSL Rouge Pur Couture Vernis à Lèvres Glossy Stain. It is a flexed brush with pointy tip but wide body. The wide body ensures fast application while the pointy tip ensures neat application. Hands down to my most favorite lip product I have ever owned. 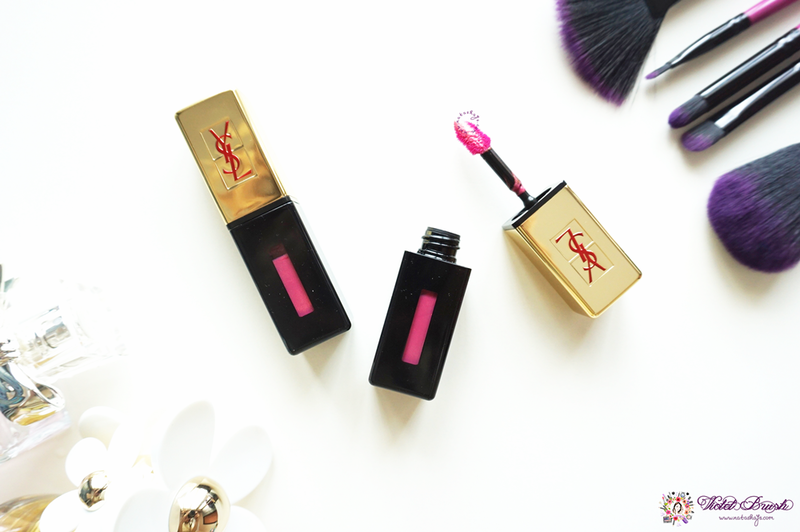 YSL Rouge Pur Couture Vernis à Lèvres Glossy Stain really suits up to its shade name. Fuchsia Tomboy is literally a fuchsia color with a hint of golden sparkles. The color is very pigmented that all you need is one coat of application. On the contrary, its texture is pretty thick and creamy which makes it feel heavy on the lips. 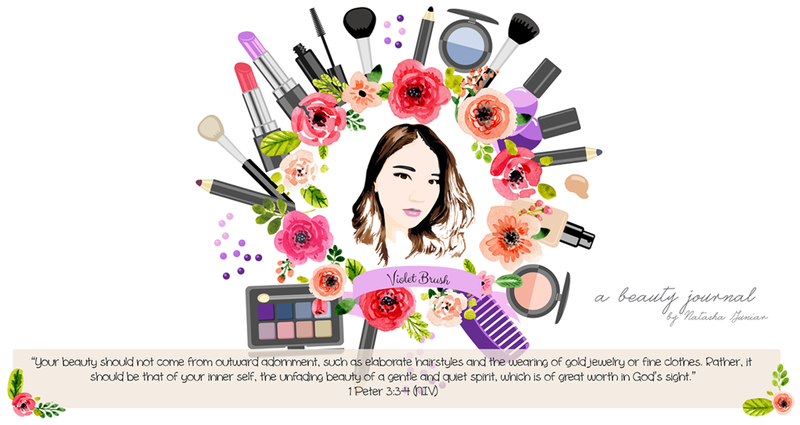 While matte lips is the current trend, it is not my personal preference. YSL Rouge Pur Couture Vernis à Lèvres Glossy Stain may looks glossy when it is set, however it is not greasy like any other lip gloss. Like its name, Glossy Stain, it does stain which might be the reason why YSL Rouge Pur Couture Vernis à Lèvres Glossy Stain has an excellent lasting power. I once used this for my graduation (tutorial here) and it stayed for almost all day long with me having meal once. On a side note, though, you need to apply lip balm beforehand if you're planning to use this all day because it does make your lips dry after several hours. Yes, I'd like to purchase another shade. 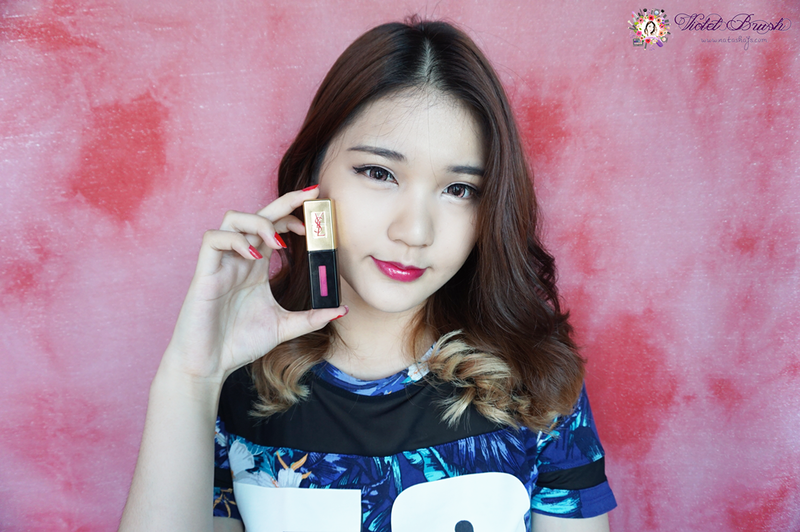 You can find YSL Rouge Pur Couture Vernis à Lèvres Glossy Stain at department stores (Sogo, Seibu, Metro, etc.) or at trusted online shop. ya seperti kata orang, ada harga ada kualitas haha thank you btw! Great post!! You're also a youtuber, aren't you?